At Woodbridge Hill Dental Practice, we provide a comprehensive range of gum treatments. If you are experiencing bleeding gums, receding gums, swollen or sensitive gums or bad breath, you should immediately schedule an appointment to screen for gum disease. Our periodontal (gum) treatments include the treatment of conditions like gingivitis and periodontitis. The main periodontal (Gum) treatments in our dental practice is lead and carried out by our periodontist Dr Guillermo Madriz. A team of two friendly hygienists (Tracey and Zoe) will also be involved in treating your conditions. The accumulation of dental plaque and tartar is the most common cause of gum disease. 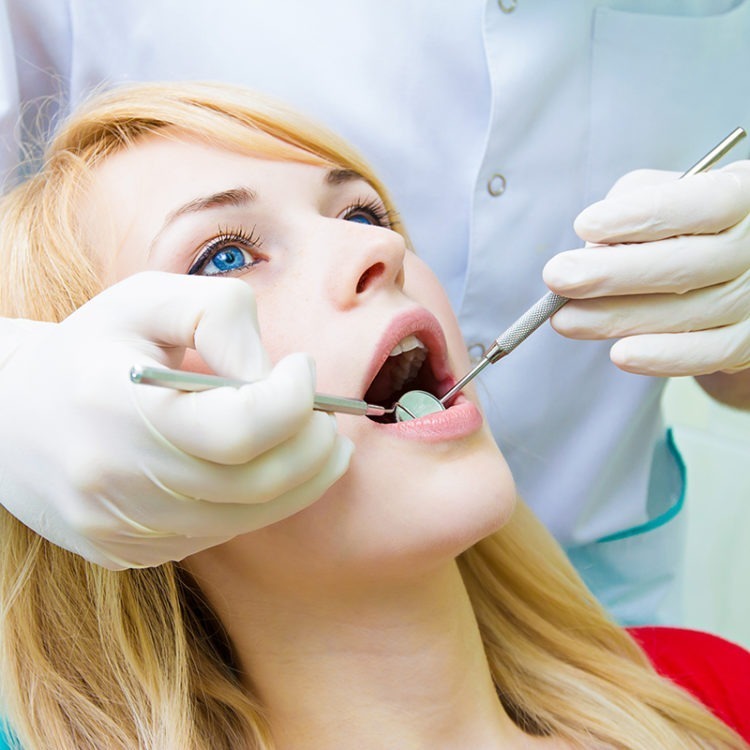 Our team of qualified dentists offers excellent advice on the techniques and methods of oral hygiene after examining your condition. The maintenance of good dental health goes a long way in reducing the amount of deposition on the teeth, thereby preventing gum disease. Also, our experts are qualified in performing some of the most advanced treatment procedures to help prevent the deposition of tartar and plaque. A more involved version of the plaque removal performed during a standard teeth cleaning, scaling refers to scraping plaque from the tooth surface. By removing this plaque, our hygienists and periodontist allows your teeth and gums to recover from the presence of bacteria. Scaling may be done without anaesthesia, as it targets the crown and is not typically painful. If an accumulation of plaque is present on your teeth, local anaesthesia may be helpful. While scaling is done to the tooth’s crown, root planing aims below the gum line to remove hidden plaque from the tooth root. This root-level plaque is especially insidious and can lead to the formation of gum pockets, gum recession, and even tooth loss. Teeth Deep Scaling (Deep Cleaning) and Root Planing will clean away plaque and tartar, as well as smooth the root surface to make it more difficult for bacteria to adhere. When plaque and bacteria have become lodged deeply in the space between teeth and gums, physical removal may not terminate the infection. Antibiotics may be taken or applied to the infected area to heal it and prevent further disease. Tiny antibiotic packets may be placed in periodontal pockets to protect the fragile area and ultimately decrease pocket size. This is a surgical procedure which involves the use of fragments of bone or synthetic bone as a substitute for the bone destroyed by gum disease. The grafts help to restore stability to your teeth and promote regrowth of bone. This procedure is performed when the bone supporting your teeth has been destroyed. It helps to stimulate gum tissue and bone growth. Painkillers are administered during the early stages of gum disease. Medication provides relief to patients and also helps in controlling the growth of bacteria. If your gums have swollen and cover too much tooth surface, our periodontist is able to remove the excess gum and reveal the healthy tooth beneath. 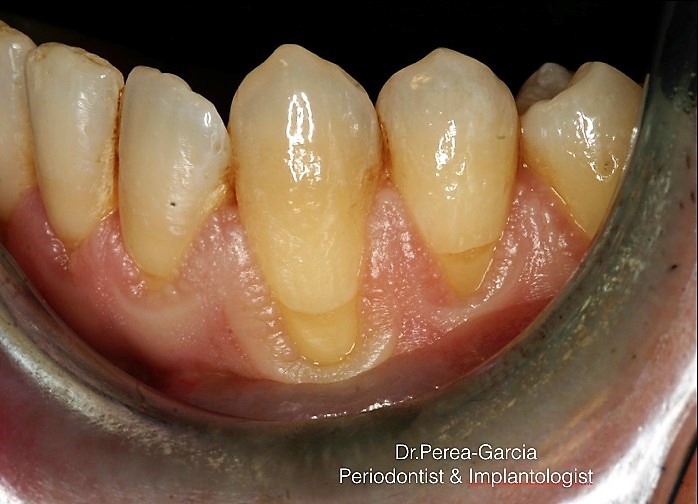 After your periodontal disease has healed, you may be left with unsightly pockets that once held accumulated plaque. Dr. Garcia is able to suture those pockets to reduce their size and prevent reinfection of the area. tissue graft will take tissue from a healthy area of the mouth and connect it to the receding gum line. This not only protects the tooth root, it improves an overly toothy smile. 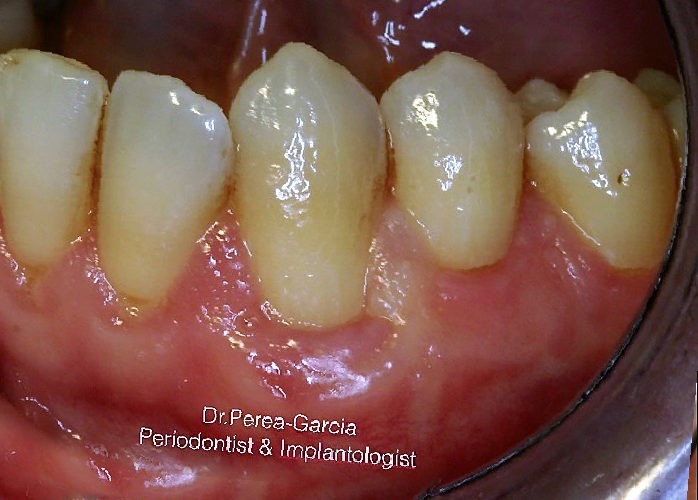 To see more successful periodontal cases done in our practice, please click here.